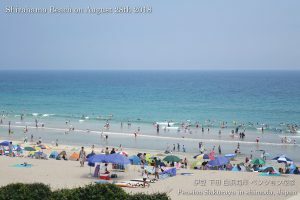 I’m posting the photos which I took here in Shirahama yesterday. It was sunny and very hot, but was the perfect day for the beach yesterday. 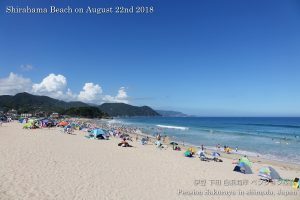 This entry was posted in beach on 2018年8月31日 by izusakuraya. 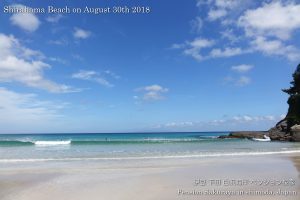 2018/08/29 Thank you for staying! 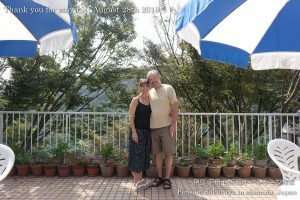 They are from Switzerland. 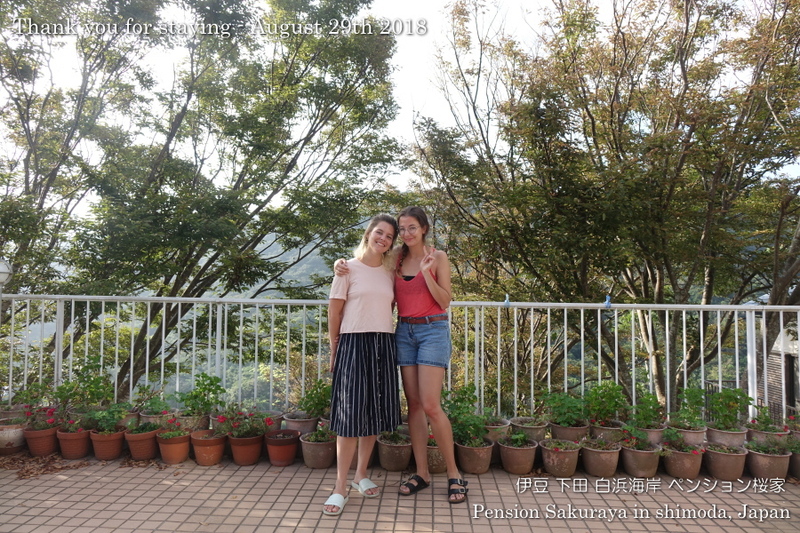 One of them lives in Tokyo and the other one came to Japan for traveling. 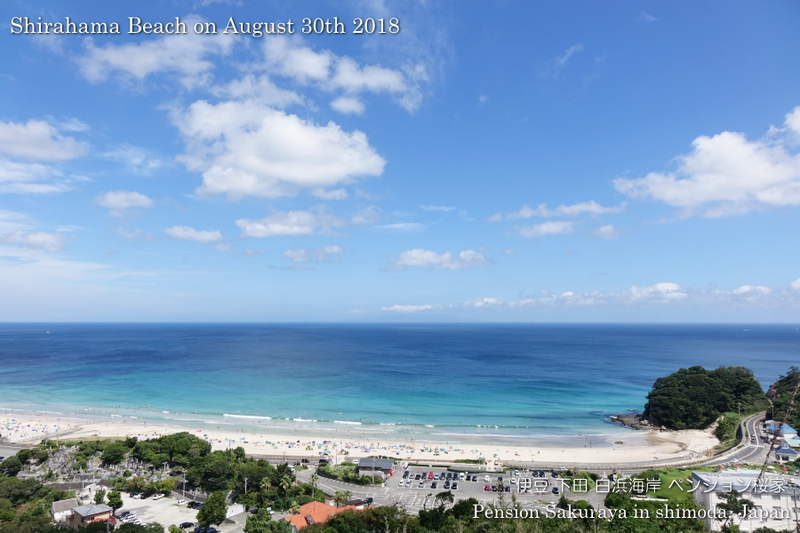 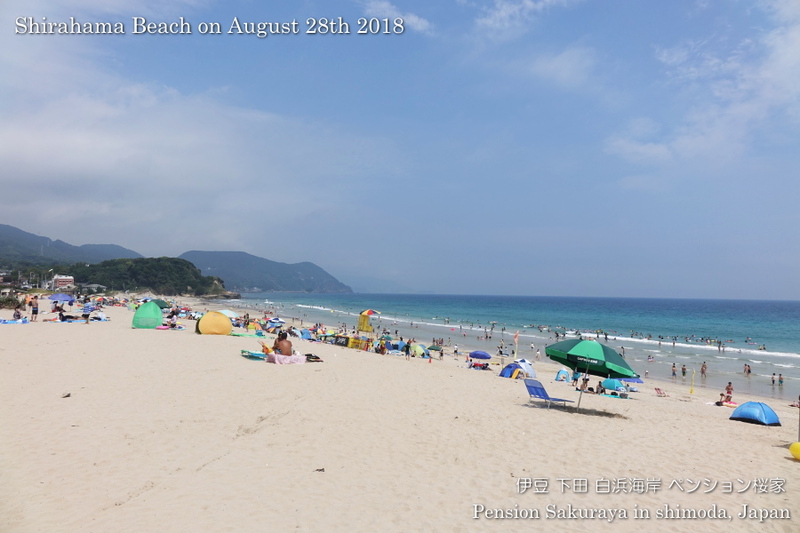 They came to Shimoda from Atami station by rental car and drove on southern and western part of Izu peninsula on the 2nd day, and they spent all day on the beach on the 3rd day. When they checked out they gave us a present from Switzerland. 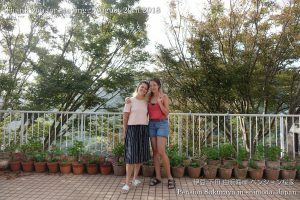 We also had great time with you! This entry was posted in Customers, Pension Sakuraya on 2018年8月29日 by izusakuraya. It was a little cooler than yesterday but it was very hot here in Shirahama today. This entry was posted in beach on 2018年8月28日 by izusakuraya. 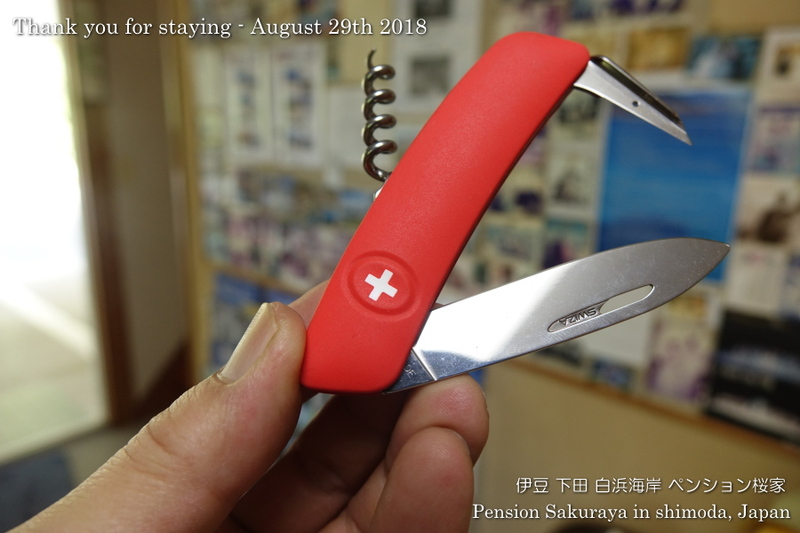 2018/08/28 Thank you for staying. 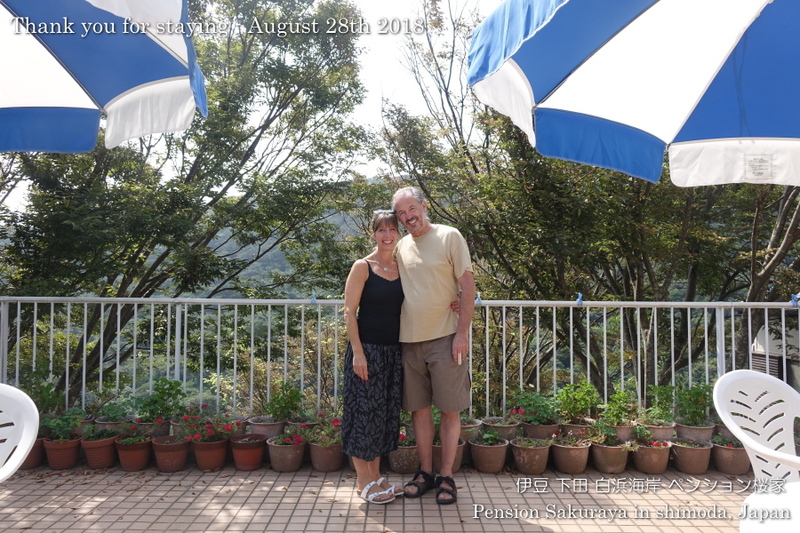 They came from England stayed at Pension Sakuraya for 4 nights after 2 weeks travel in Japan. 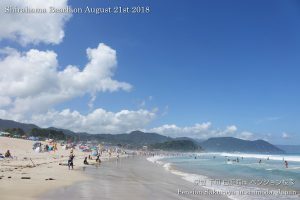 During their stay they went to the nearest beach, walked in Shimoda and went to Kawazu Seven waterfalls. 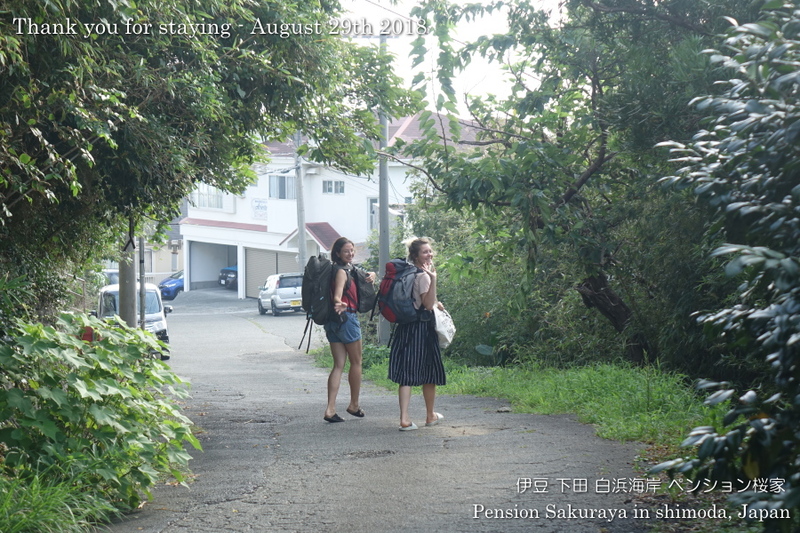 After check out they went to Osaka and leave Japan after one night stay in Osaka. 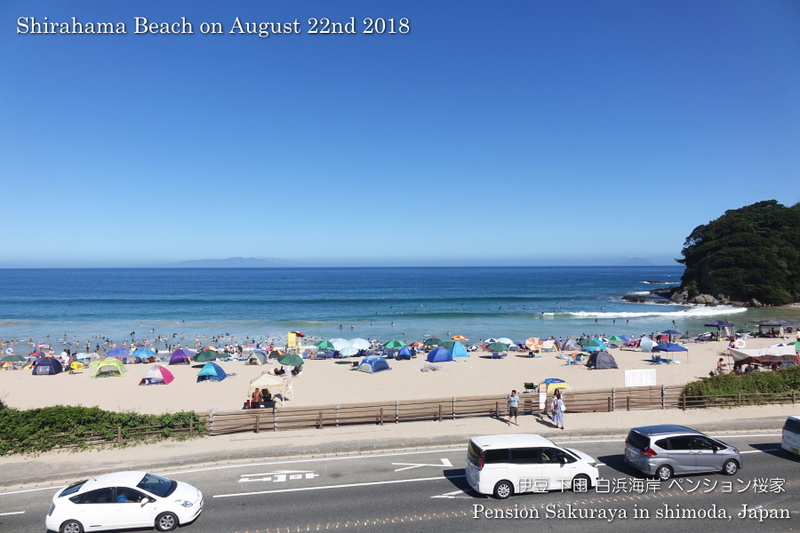 This entry was posted in Customers, Pension Sakuraya on 2018年8月28日 by izusakuraya. It is 9:00 PM now. There is a little wind but no rain. 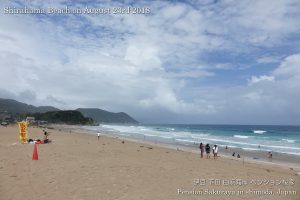 I can’t believe this weather condition, the typhoon is landing on Shioku area tonight though. 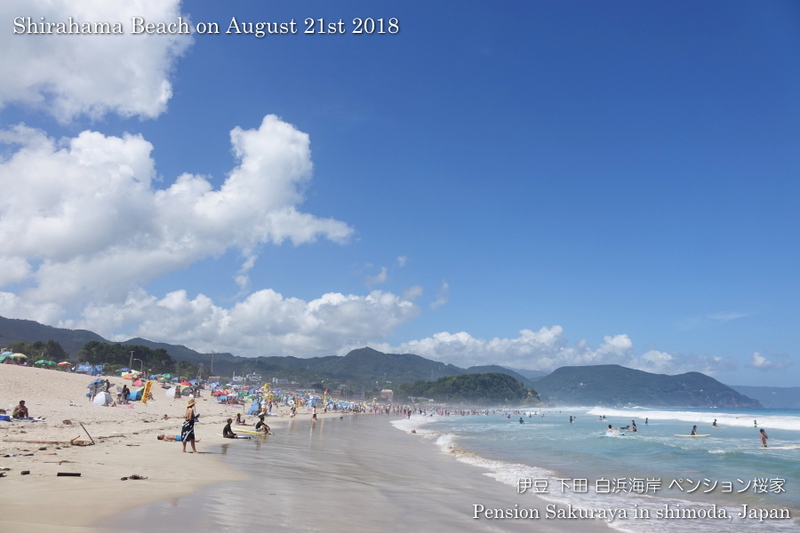 This morning we had heavy rain for a short time and the blue sky appeared after that. 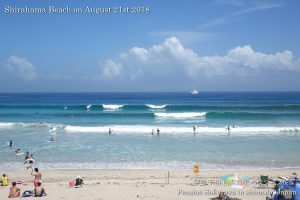 But it was prohibited to swim here in Shirahama due to the high waves by typhoon all day long. This entry was posted in beach on 2018年8月23日 by izusakuraya. 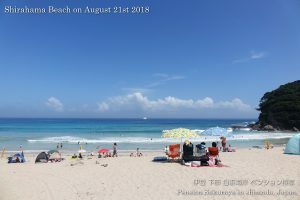 As we didn’t have dinner for our guets to prepare today I had enough time to go to the beach to take photos this afternoon. 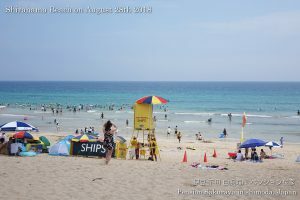 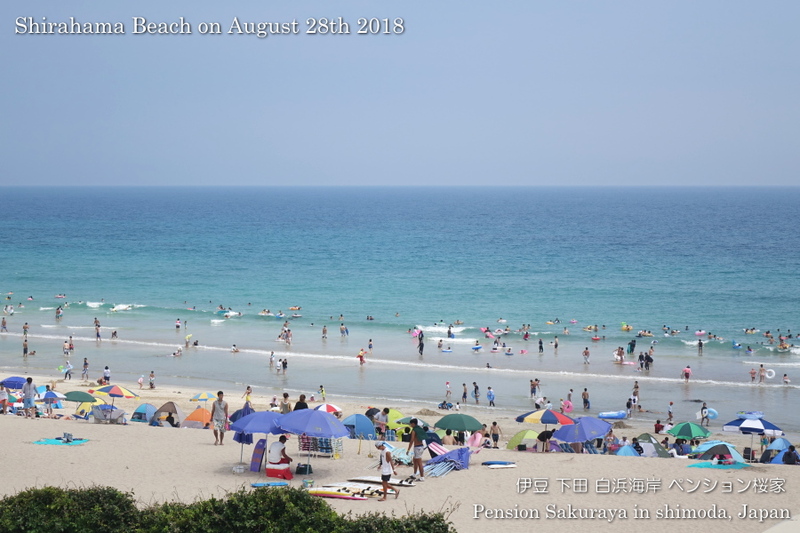 Though the Obon holidays were over, there were still a lot of people on the beach here in Shirahama today. 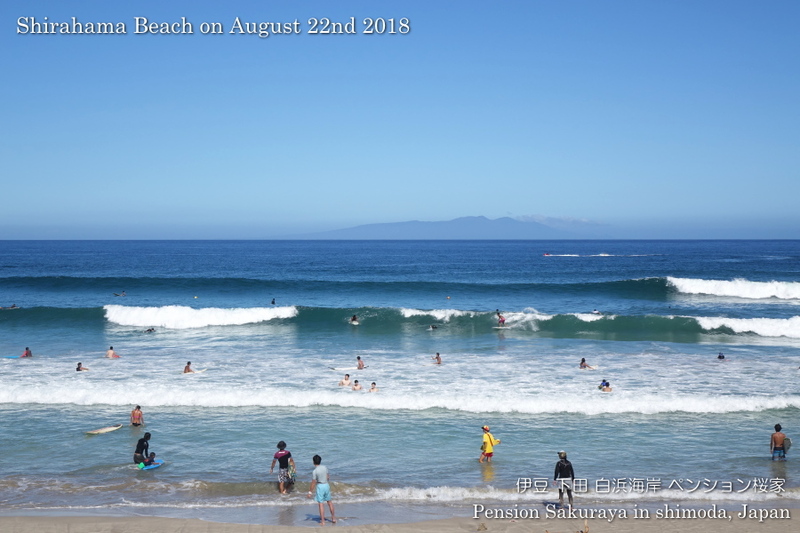 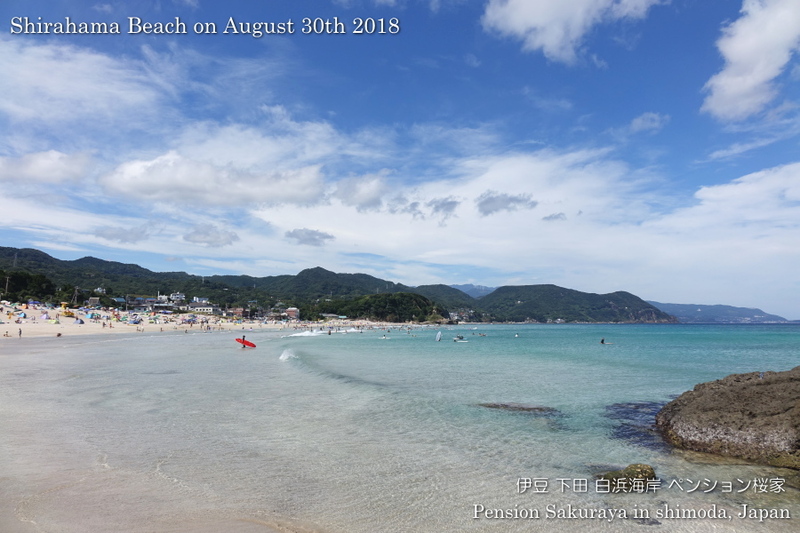 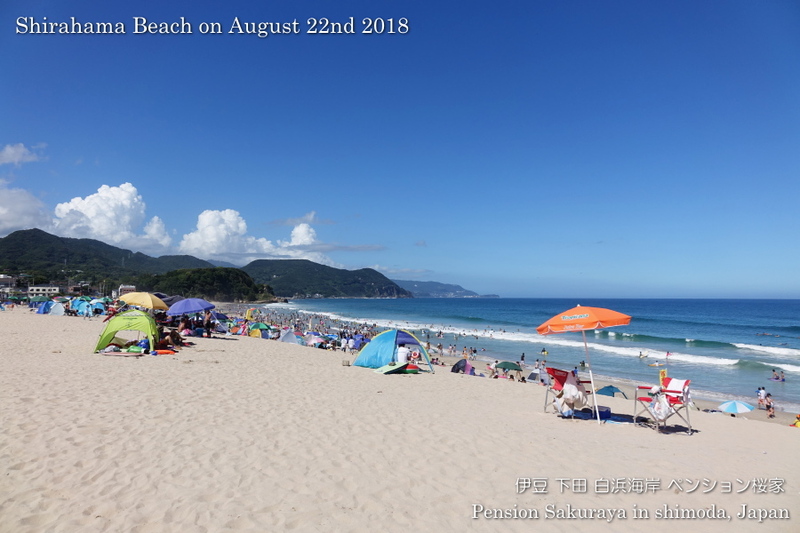 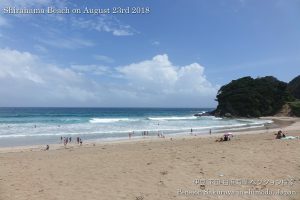 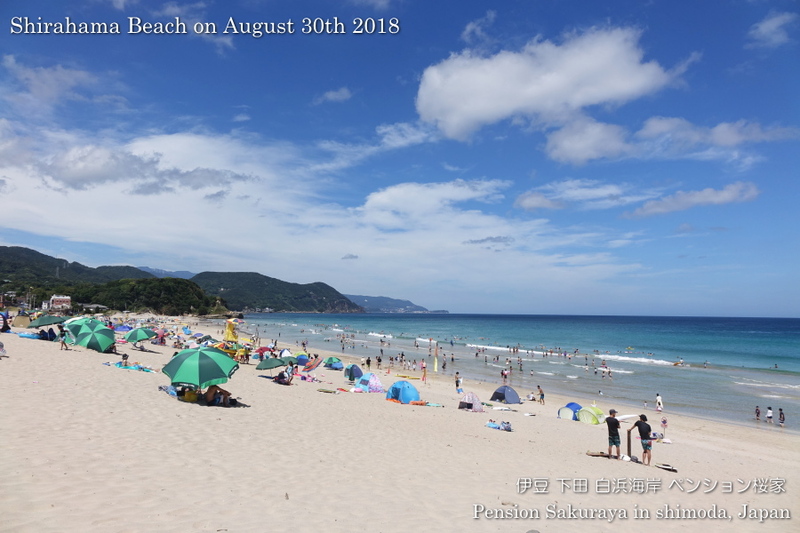 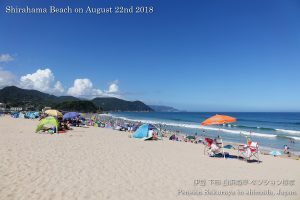 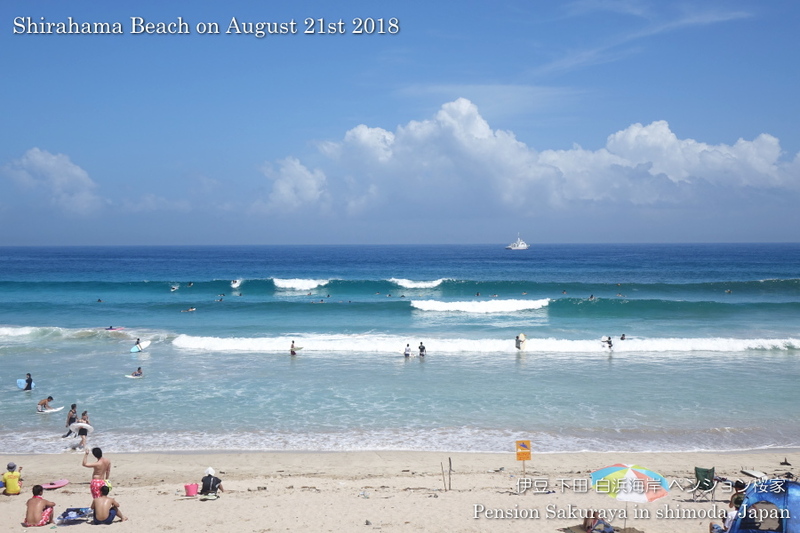 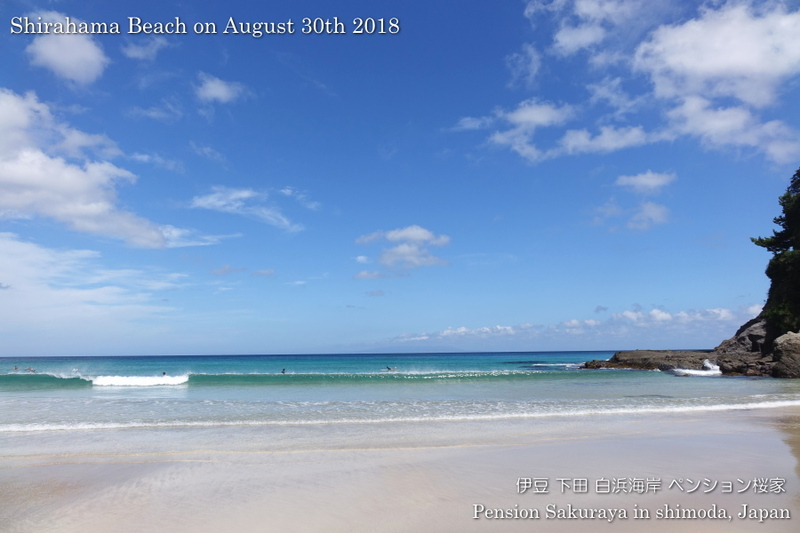 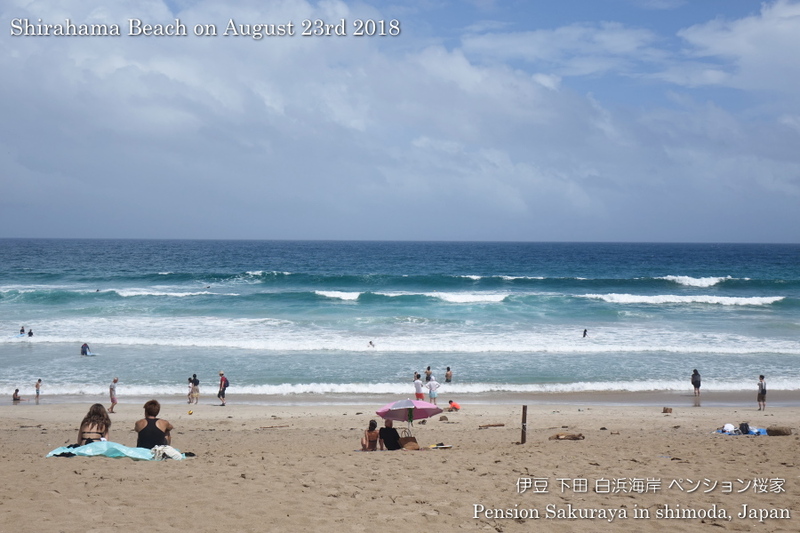 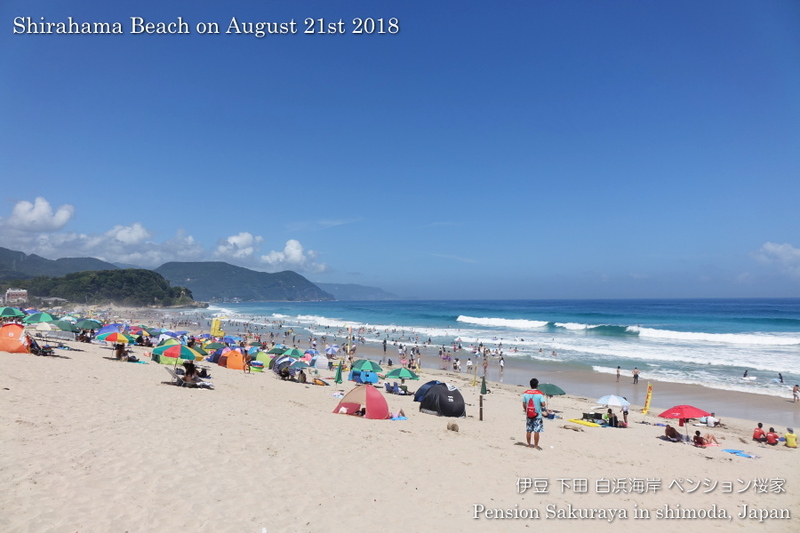 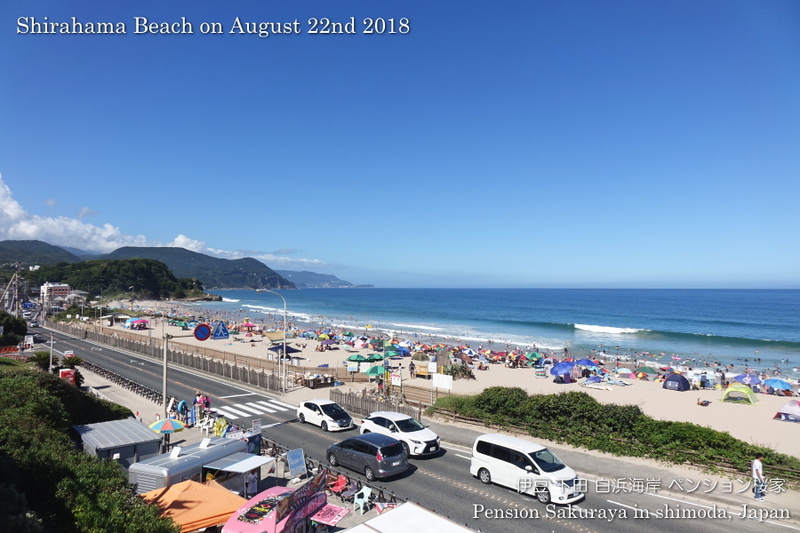 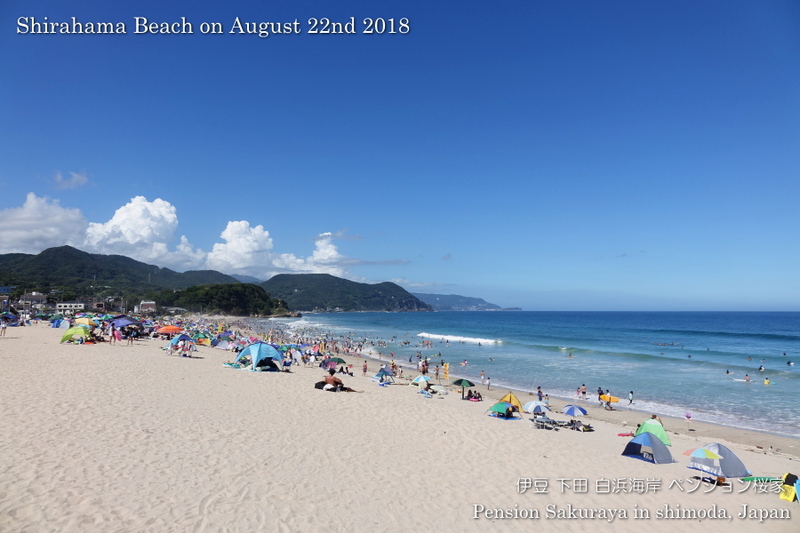 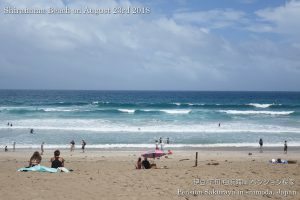 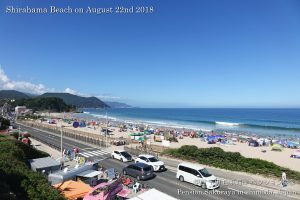 This entry was posted in beach on 2018年8月22日 by izusakuraya. 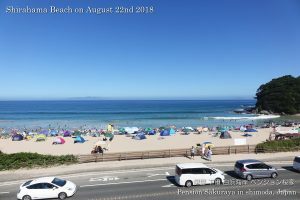 This entry was posted in beach, Video on 2018年8月22日 by izusakuraya. 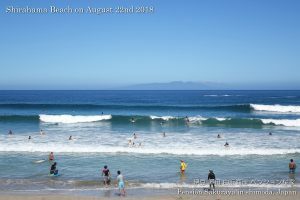 As we didn’t have many rooms which we had to clean up today I was able to go to the beach to take photos this afternoon. 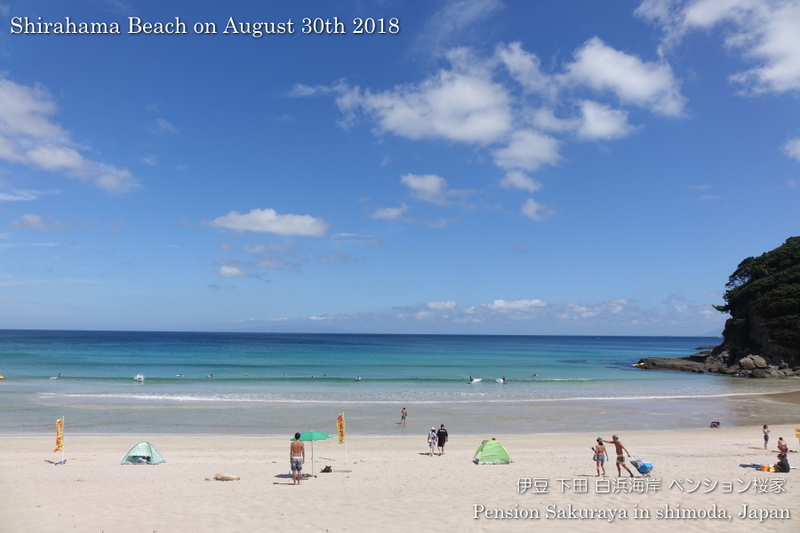 There was no strong wind like yesterday, and the blue sky came back again here in Shirahama today. 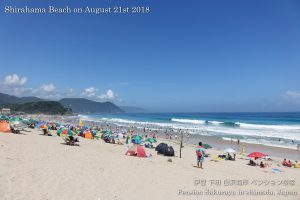 This entry was posted in beach on 2018年8月21日 by izusakuraya.